We’ve looked at a lot of weird cars here at Paleofuture. But this one might take the cake. Built in 1935 by Angelo R. Noble just north of Los Angeles, it clearly takes its influence from the other streamlined products of the 1930s. And despite looking vaguely like a tank, it seems like it’d be a disaster in a car wreck. 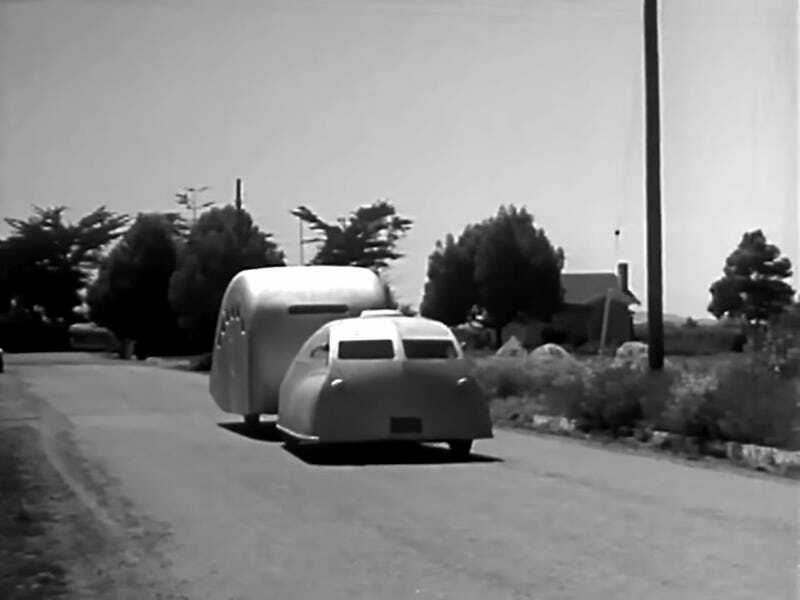 Especially since it was built to tow a “streamlined” camper, adding plenty of weight to an already wobbly design.